Through education programs, young people and educators can make a real difference. Green School is committed to sharing its expertise and services to local communities in a way that allows them to lead the way. A community-driven language and sustainability after-school program provides young people with the skills they need to make a difference. They are motivated to master English language and empowered and supported to tackle bigger challenges. With a focus on waste reduction, reuse and recycling, these children are leading change one household, one community, one village at a time. Local teachers and university students are skilled in eco-literacy through training and practicums delivered by Green School. Through this and our youth programs, we are building a community of learners, providing support and inspiration, infusing sustainability awareness and practices into education and into daily life. 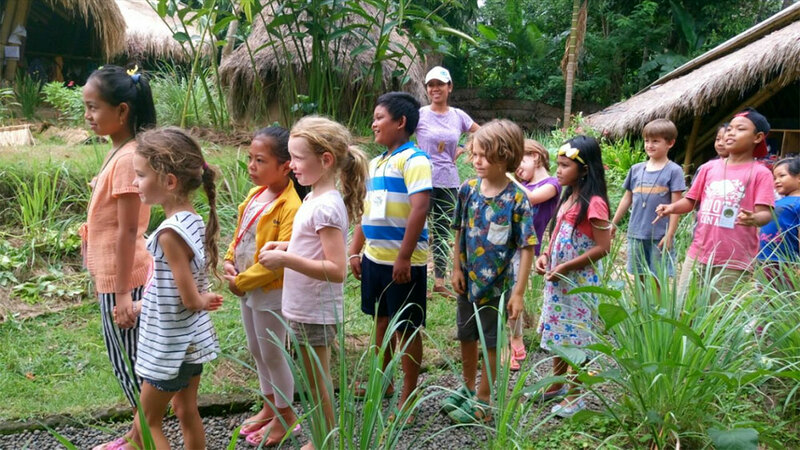 On request from our neighbours, Green School delivers English language classes to over 270 Balinese children every week. Young Balinese activists are supported to raise awareness of environmental challenges and solutions by using the performing arts as a platform for activism and to represent the voice of Indonesian youth at national and international conferences on climate change. 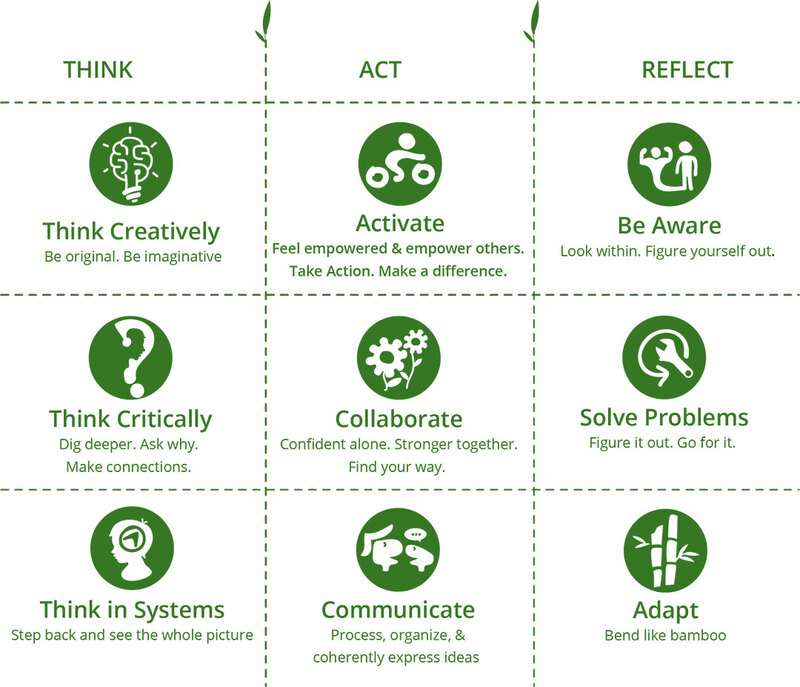 Educators and interns are equipped to bring eco-literacy into local educational curriculums through comprehensive Green Educator training. Performing arts provides a highly engaging platform for young people to connect with each other and become activists. 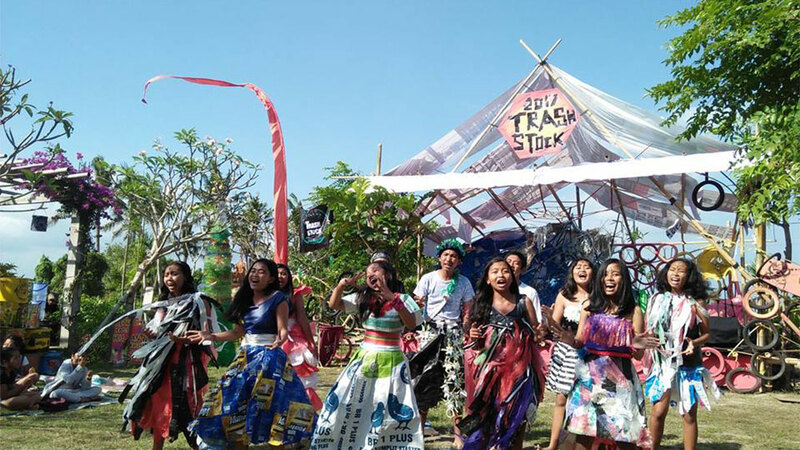 In the deeply artistic nation of Indonesia, students of the Kul Kul Connection program are putting a new spin on tradition by using the dramatic arts to send a powerful message on waste and the environment. Students create their own screenplay and unique costumes out of recycled material that they have collected from Green School’s recycling centre. Plastic bags that otherwise would have ended up in landfills are used to create couture gowns. This production tours local and international schools in Indonesia to create momentum and a youth movement for positive change. This is one shining example of the optimistic and creative potential of young people. With a little support, these initiatives can create real and much needed generational change. 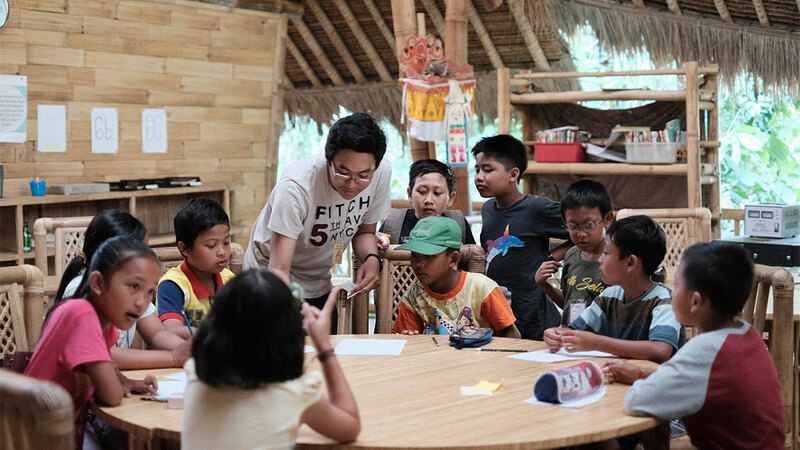 The Indonesian Change Maker program is a powerful example of the impact that community involvement and real world student-centered learning can have in making our world sustainable. The spark has been lit and these programs have exceeded all expectations. Join us as we continue to expand our support for Indonesian Change Makers. Your donation will support a local child or teacher to be the change they want to see in their country. They have the motivation, but not the resources to maximise their positive impact. Help them to join with other Indonesian Change Makers, to expand their impact and take on the challenges and opportunities that lie ahead for Indonesia. Send ten youth actors/activists around Indonesia, promoting environmental awareness and practical waste solution through the performing arts $10,000. Send two outstanding students to represent the voice of Indonesian youth at the next United Nations International Conference of Youth on Climate Change $7,000. Support eco-literacy training programs to 100+ Indonesian teachers and university students (these programs are delivered to participants for free or for a nominal fee where appropriate) $36,000.